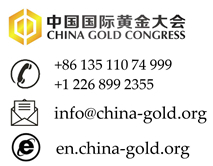 Global gold demand reached 1,290 tonnes (t) in the first quarter of 2016, a 21% increase compared to the same period last year, making it the second largest quarter on record, according to the World Gold Council’s Gold Demand Trends report. This increase was driven by huge inflows into exchange traded funds (ETFs), fuelled by investor concerns regarding economic fragility and an uncertain financial landscape. Concurrently, global demand for jewellery was down 19%, as higher prices and industrial action in India and a softening of the economy in China meant many consumers delayed making purchases. Inflows into ETFs totalled 364t in the quarter - the highest quarterly level since Q1 2009 - compared to 26t in Q1 2015. Gold found favour as a risk diversifier due to the negative interest rate environment in Europe and Japan, combined with uncertainty over the Chinese economy, anticipation of slower interest rate rises in the US and global stock market turmoil. Total bar and coin demand was 254t,marginally higher than the same period last year. Weakness in price sensitive markets was offset by strength elsewhere with 5% growth in China (62t) and strong demand in the US and the UK, which grew by 55% and 61% respectively. In total, investment demand was 618t, up 122% from 278t in the same period last year, igniting a rally in the gold price which appreciated by 17% in dollar terms during the quarter. The strong investment performance was not reflected in the jewellery sector though, with demand levels down in India and China. While both countries had a slow start to the year as a result of consumer uncertainty and rising gold prices, the situation was greatly exacerbated by the industrial action in India. Central banks remained strong buyers, purchasing 109t in the quarter. This represents the 21st consecutive quarter that central banks have been net purchasers of gold as they continue to diversify away from the US dollar. Alistair Hewitt, Head of Market Intelligence at the World Gold Council, said: “Two major themes emerged in the first quarter of 2016. Spurred on by the uncertainty raised by negative interest rates, the investment sector was the dominant driver of gold demand, helping to push prices up 17% over the course of the quarter, as ETF inflows swelled. Conversely, jewellery demand endured a difficult quarter due to a continued lack of consumer confidence in the face of a weakening Chinese economy and a 42 day strike by jewellers in India. But we believe Indian demand has simply been postponed, with buying likely to increase for Akshaya Tritiya and the wedding season. Total supply for Q1 2016 saw an increase of 5% to 1,135t compared with 1,081t in the first quarter of 2015. Increased hedging of 40t, coupled with slightly higher mine production of 734t (729t in Q1 2015), outweighed a marginal decline in recycling. •Overall demand for Q1 2016 increased by 21% to 1,290t, up from 1,070t in Q1 2015. •Total consumer demand was 736t down 13% compared to 849t in Q1 2015. •Global investment demand was 618t, up 122% from 278t in the same period last year. •Global jewellery demand fell 19% to 482t versus 597t in the first quarter of 2015. •Central bank demand dipped slightly to 109t in Q1 2016, compared to 112t in the same period last year. •Demand in the technology sector fell 3% to 81t in Q1 2016.